Ian Shorkey supports senior Trinity Capital investment team members through every aspect of the acquisition and disposition process as well as development opportunities. He also works with Trinity Capital’s asset management team to maximize portfolio value, performance, and returns. 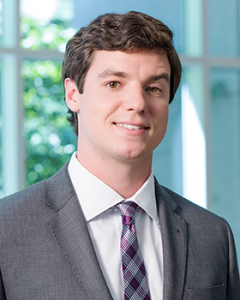 Prior to joining Trinity Capital in 2015, the Clemson University alumnus served as an investment banking analyst at Wells Fargo Securities. Ian volunteers through Heart Math Tutoring helping Charlotte public school elementary students in Title I schools improve their math skills. In addition, he sits on the Alumni Governing Board at Charlotte Latin School and is a member of the Board of Directors for Camp Debbie Lou, a summer camp in Latta, S.C. for children with life-threatening illnesses and their families.